Our Lights in Action: John in California! 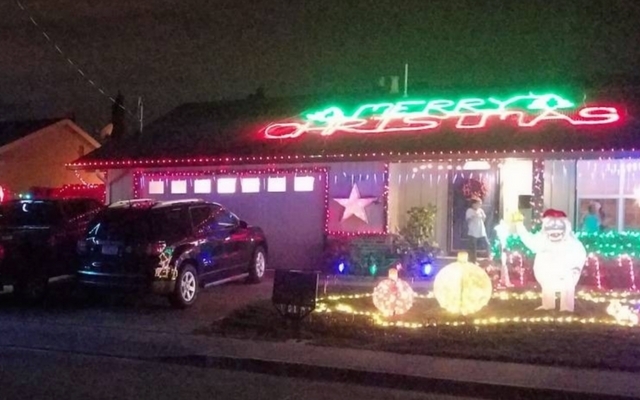 John, one of our customers in California just shared photo of his Chrismtas light installation and we were so inspired we thought we’d share them with you. This display combines rope lights, LED string lights and Christmas figures to combine together for a super-fun light show. The “Merry Christmas” on the roof is done with your rope lights. The 5 pointed star by the garage is done with your small round lights and it alternates between white, red, and blue. The big tree has 36 strings of your C6 lights, and the bundle crossing the street is where I used those big C9s. John took advantage of the ability to run up to 87 strings of C9 lights and up to 43 or the G12’s and C6’s in series for his project and I’m sure his budget appreciates their lower electricity cost to operate. We love his Griswold approach to lighting and the Merry Christmas on the roof is the perfect finish. Scroll down this page to see a video! 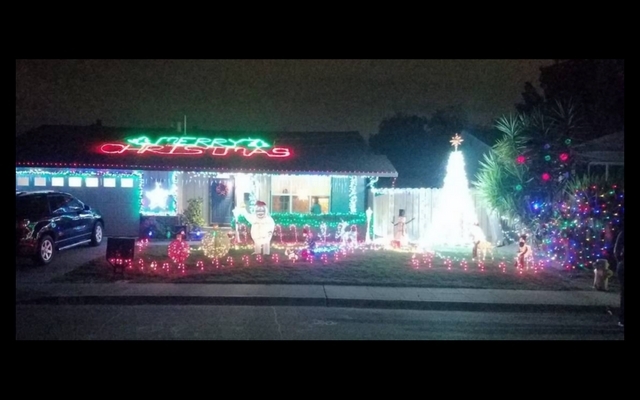 Do you have an over-the-top Christmas lights display? We’d love to see it. Share your thoughts in the comments below! DIY: Installing Christmas lights on yard art! Customer Photo: Warm White LED Light strings on Trees! 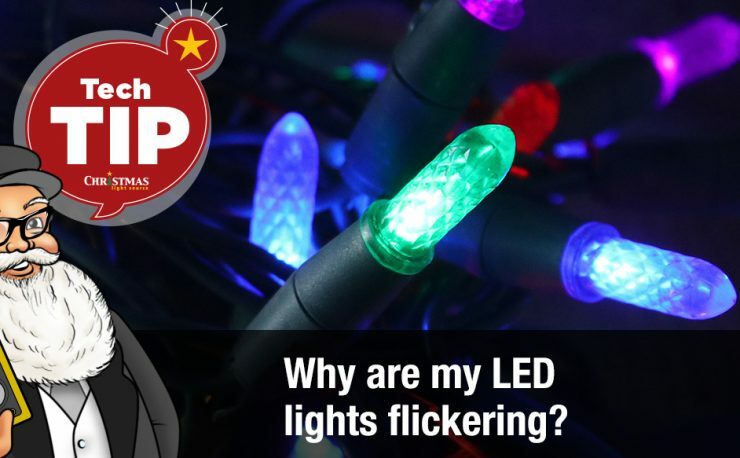 Why Are My LED Christmas Lights Flickering? 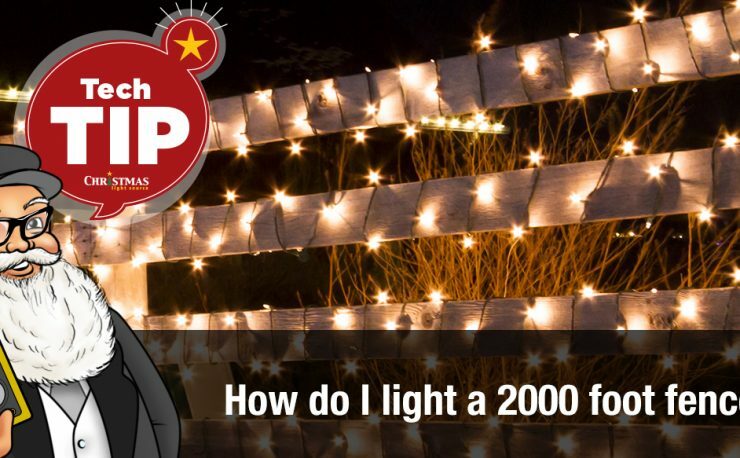 How do I light a 2000-foot fence? 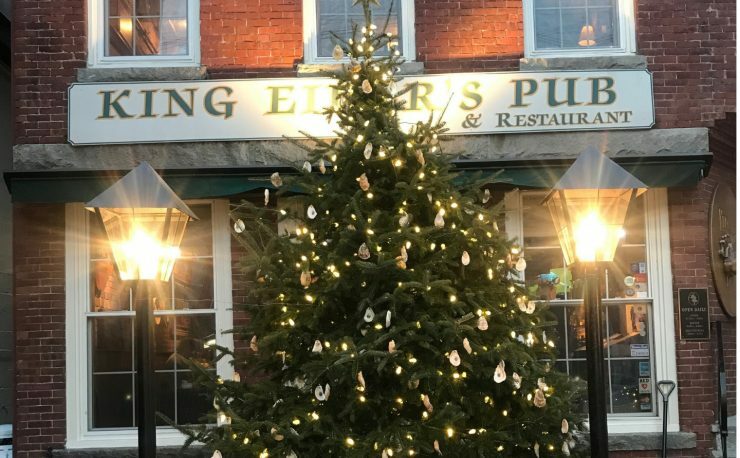 Head to King Eider’s Pub in Bristol, ME for a Pint and Christmas Cheer! 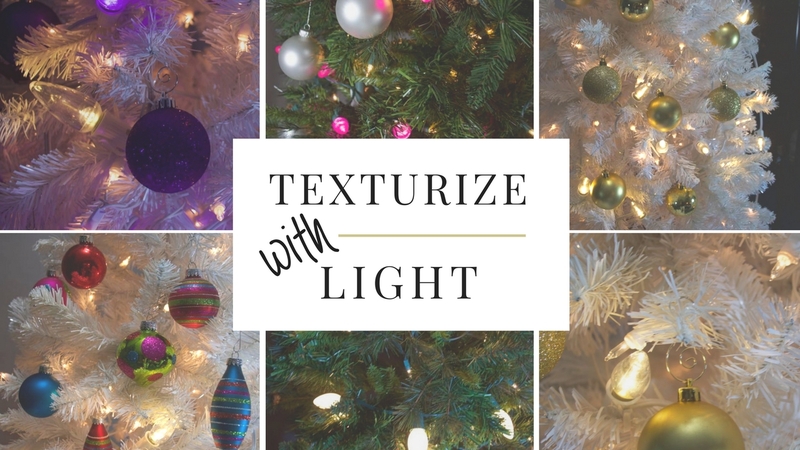 Texturize Your Christmas Tree with Light! 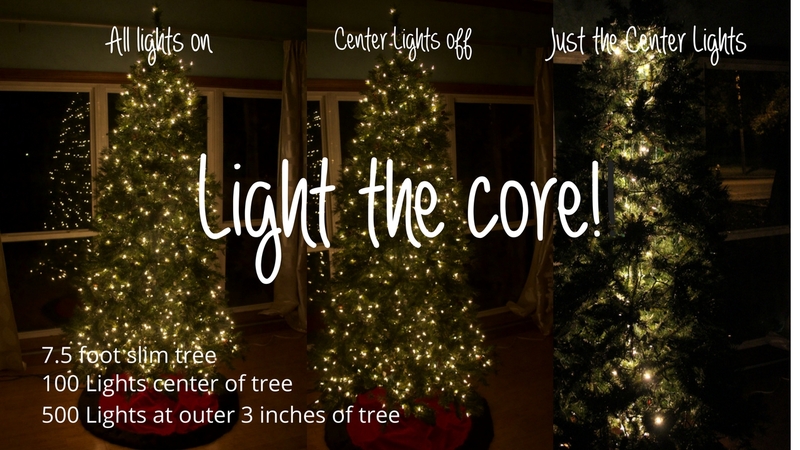 How to light a Christmas Tree: Light the Core! 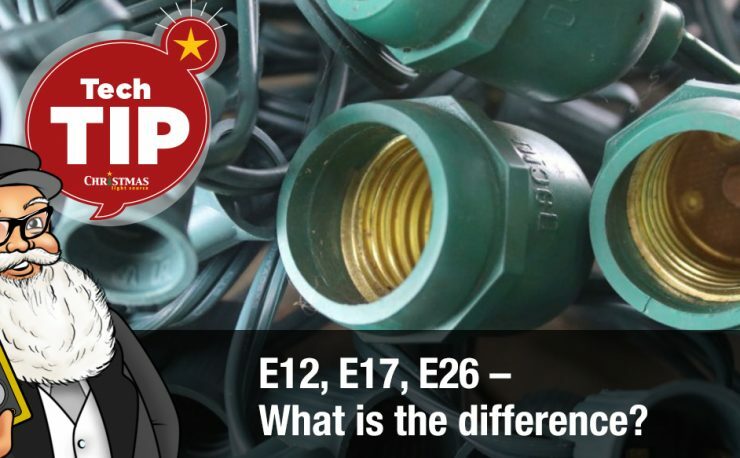 E12, E17, E26 – What is the difference?